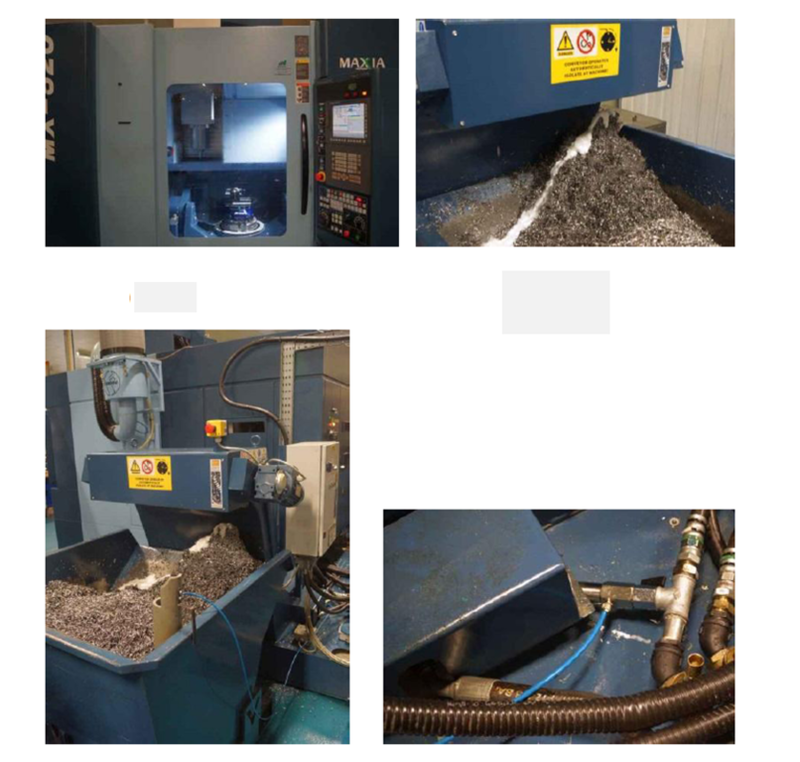 As part of a continuous business improvement plan Mettis Aerospace, a leading global service provider of precision-forged and machined components in titanium, aluminium and special steels, has installed the Wogaard Coolant Saver on a number of its advanced Matsuura machining centres producing critical components. Operating from a single integrated 28 acre site in Redditch, Mettis Aerospace delivers value added engineering solutions to optimise the design and manufacturing process for a number of renowned industry leaders, and the company has extensive customer approvals from Airbus, AgustaWestland, Boeing, Bombardier, GKN Aerospace, GE Aviation, Honeywell, Kawasaki, Messier-Bugatti-Dowty, Rolls-Royce, Spirit Aerosystems and United Technologies. Employing over 530 highly skilled staff, the site is the company’s international headquarters and comprises 56,000 m² of forging, machining and processing facilities that include heat treatment and kitting. This provides Mettis Aerospace with the perfect environment to design, test and assemble complex forged and machined aero engine, landing gear, airframe and nacelles, as well as flight control components. With a rich and illustrious heritage Mettis Aerospace has an industrial history that stretches back to the 1930s. Since then it has led the way in innovative products and technologies; from the Spitfire to the Whittle Jet, Boeing 747, Concorde and Airbus A380 – the company has been at the forefront of metallurgical developments on all of these notable programmes. Mettis Aerospace is a valuable supplier to industry giants such as Rolls-Royce, Boeing and Airbus, and is well established on all the current revolutionary commercial aerospace programmes such as airframe components for Boeing 787-9 and 737 MAX, Airbus A380, A350 XWB and A320neo, as well Bombardier CSeries, and aero engine components for CFM’s LEAP, Rolls-Royce Trent 900, TrentXWB and Trent 1000, and GE Aviation’s GEnx. It is committed to producing the highest quality of components with a focus on lean logistics and lead-time reduction. AS9100 accreditation highlights the company’s proactive and reactive quality assurance at every stage of manufacture. While NADCAP approval demonstrates the commitment the business has to cost-effective processes and new innovative ways of working with continual improvement every step of the way. It was as part of a continuous improvement initiative that the Wogaard Coolant Saver was first introduced to the 3,000 m2 machine shop. A cell containing two Matsuura MX-520 5-axis CNC machining centres was being pushed to its limits as the customer had ramped up the volume for a family of titanium components being produced. A further two identical machine tools were ordered and have been installed to meet demand. However, it was noted by Team Leader Dave Bayliss, that when full, each of the swarf skips contained a significant volume of coolant that was being dragged out by the titanium chips. Having seen the simple but effective unit in operation, Dave Bayliss accurately measured the volume and cost of coolant that was being lost and subsequently disposed of before championing the fitting of the Coolant Saver units to the remaining three machines in the cell. With the Coolant Saver costing just £345 it was very straightforward for Dave Bayliss to work out that the return on investment was less than 15 weeks. “Now we have the units fitted to the Matsuura machines in this cell we can look at calculating the savings that could be achieved by fitting the Coolant Saver to around 10 other machining centres we have identified as opportunities for improvement,” concludes Dave Bayliss.